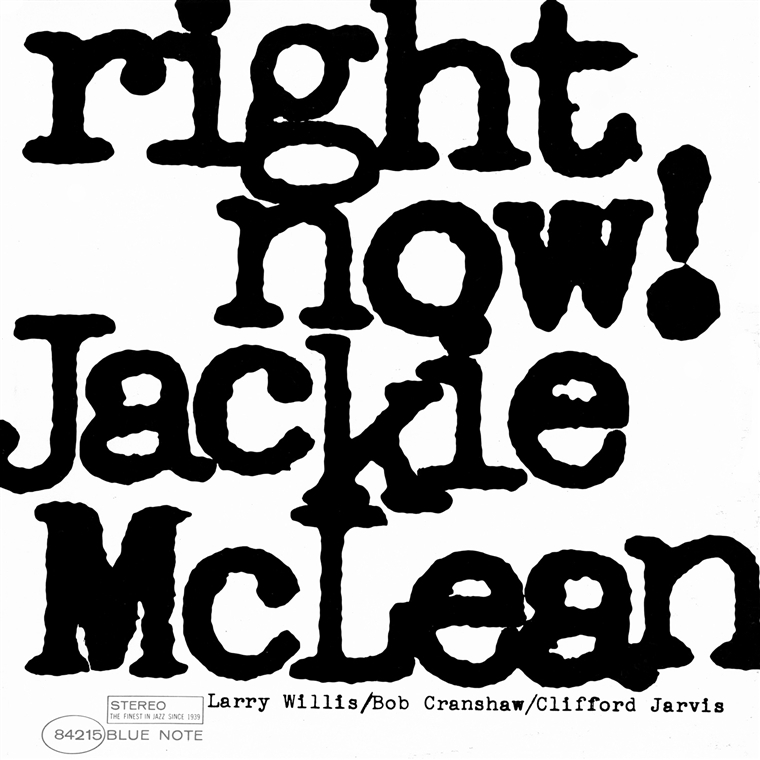 Jackie McLean always had an intense sound, playing a little bit sharp and putting passion into every sound that came out of his alto-saxophone. While he was initially inspired by Charlie Parker, Sonny Rollins and Bud Powell, by 1951 he was already a true original. McLean added a great deal of fire to the music of Miles Davis, Charles Mingus and Art Blakey's Jazz Messengers. A giant of hard bop during the second half of the 1950s, McLean was one of the very few musicians of his generation to explore freer forms of jazz in the 1960s. Avant-garde jazz perfectly fit his adventurous style which was already very emotional. 1965's Right Now, which matches him with a trio that includes pianist Larry Willis, is one of his most exciting albums of the 1960s. McLean stretches out at length on Willis' beautiful ballad "Poor Eric" and three originals, often playing with such ferocity that it will cause one's hair to stand up. The music (other than the ballad) is hard-charging, intense and often free with McLean heard at his most innovative. Even a half-century later, Right Now! sounds contemporary, vital and thrilling.